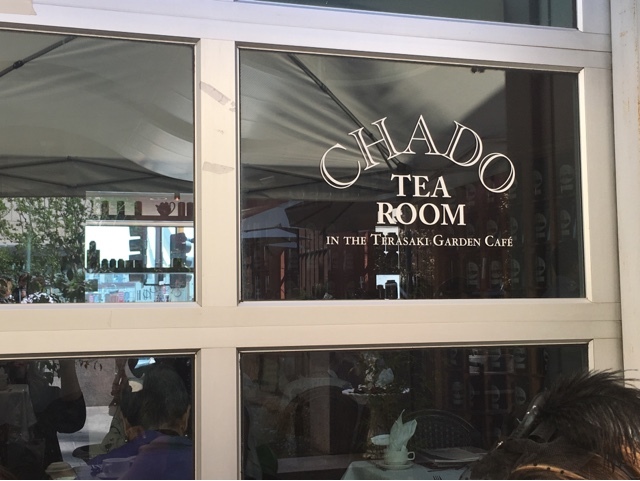 Whether you're looking for a light lunch, need a spot for a new date, or are just interested in trying something new, make a reservation at Chado Tea Room in Downtown Los Angeles, California. 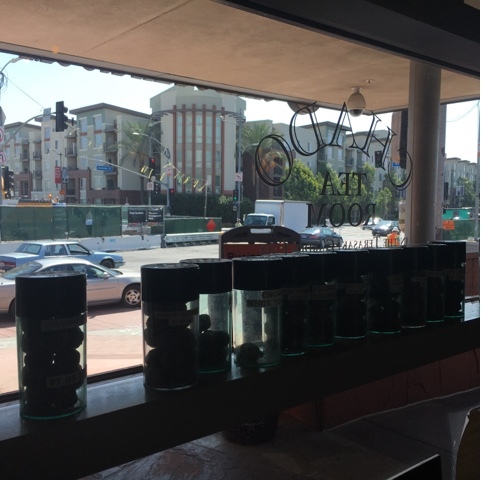 Located on first street, in the heart of Little Tokyo, this quaint spot sits inside the Japanese American National History Museum, which makes for a great pair when you want to walk off all the delicious treats and cups of tea you'll consume. 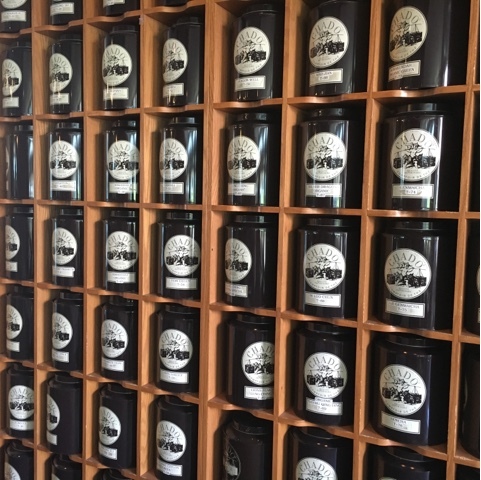 The small, but friendly tea house carries over 400 flavored teas, that range from black to champagne infused. Have any questions? 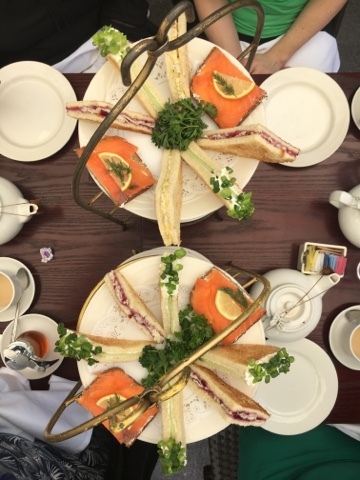 The friendly staff will explain it all and even offer recommendations. 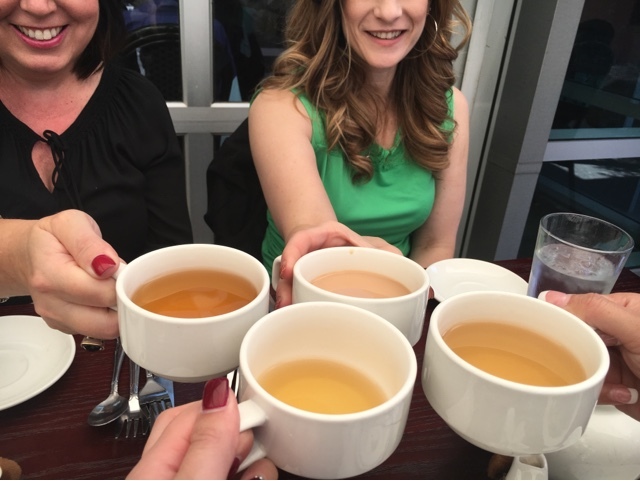 Cheers to an afternoon well spent. 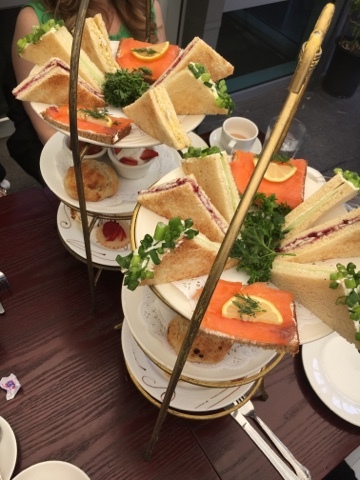 If I could make one suggestion, it would be to splurge on the full "afternoon" tray of sandwiches and desserts full of smoked salmon, turkey and cranberry and orange marmalade, scones and carrot cake. 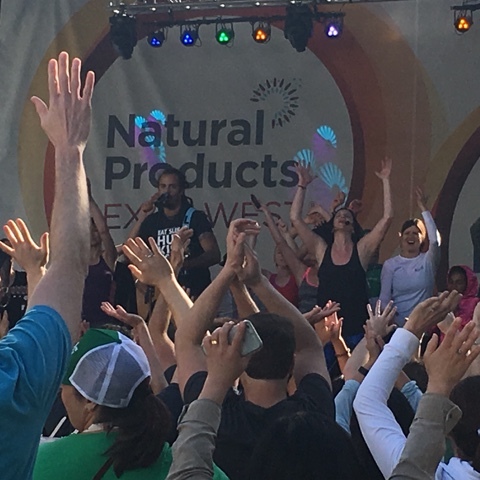 Amazing weekend at Natural Products Expo - West! Happy little Friday, everyone! 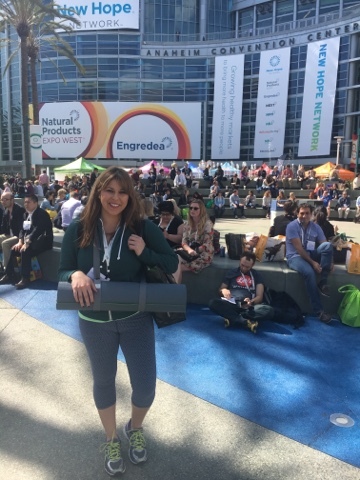 It's Thursday, and I'm so excited to share what happened at this year's 36th annual Natural Products Expo West and Engredea, the world's largest natural, organic and healthy products event. 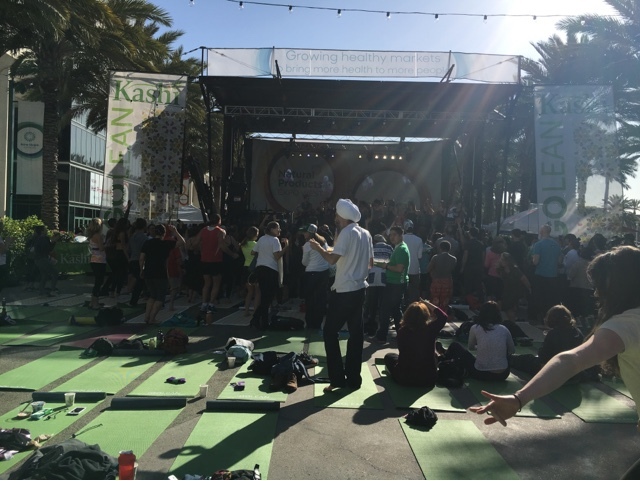 I started my day off incredibly early by attending yoga at 7:30 a.m., with Yogini expert and instructor, Gina Caputo, and rocked out to incredible music, infused with good vibes from Michael Franti. 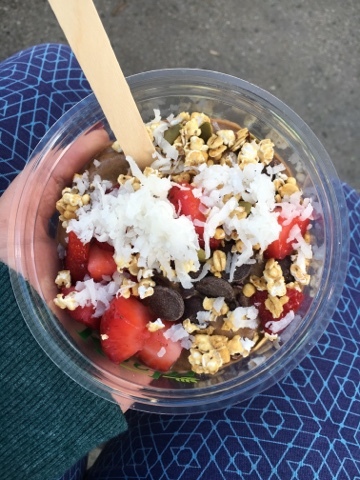 As part of their #gotogether campaign, Kashi spoiled everyone after the yoga sesh with an all natural, vegan breakfast bowl filled with almond butter, coconut shavings, strawberries, carob chips and granola; and Gaiam offered free yoga mats and yoga sling at a first-come-first-serve, basis. 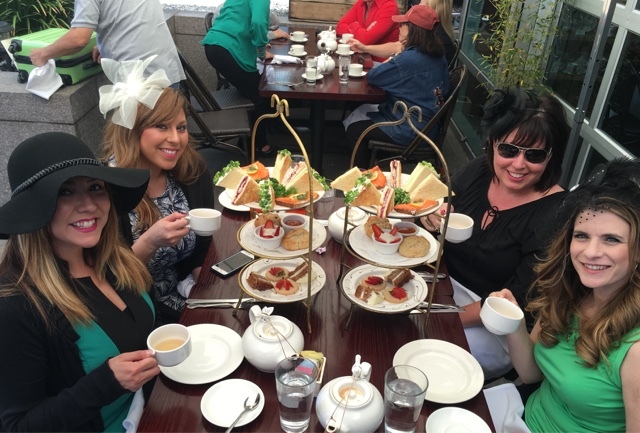 After stuffing my face and filling my belly with delicious eats, I was ready to power through the day. 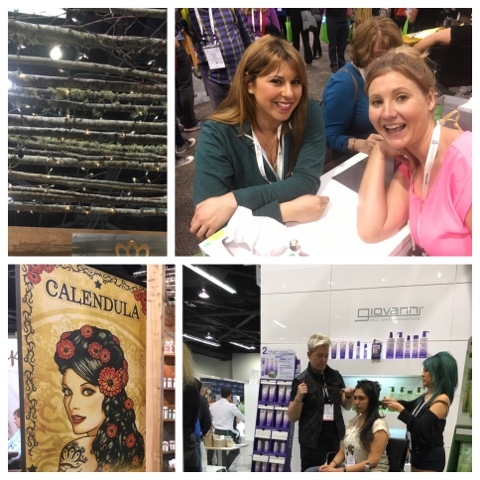 I entered into the ground floor of the Anaheim Convention Center, in Anaheim, California, and was blown away with the burst of positive energy, excitement and samples being passed my way. 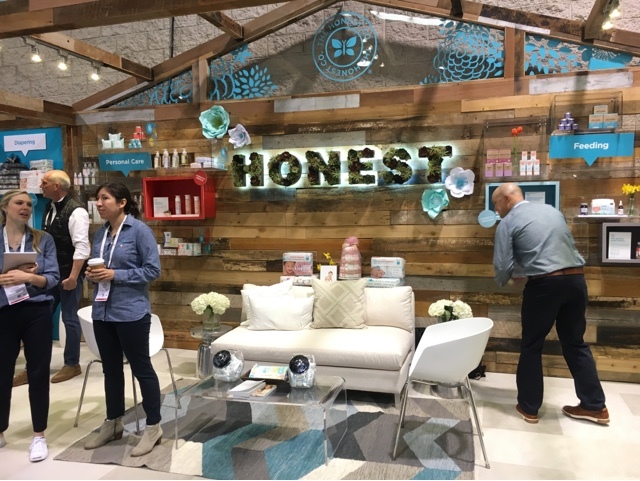 I stopped by the Honest Company booth and learned about their natural approach to baby care products that are non-toxic to both baby and moms. Bodyceuticals Calendula launched their natural tattoo coverup, Ink pot. All you had to do was flash them your favorite work of self body art, and you were gifted with a sample. 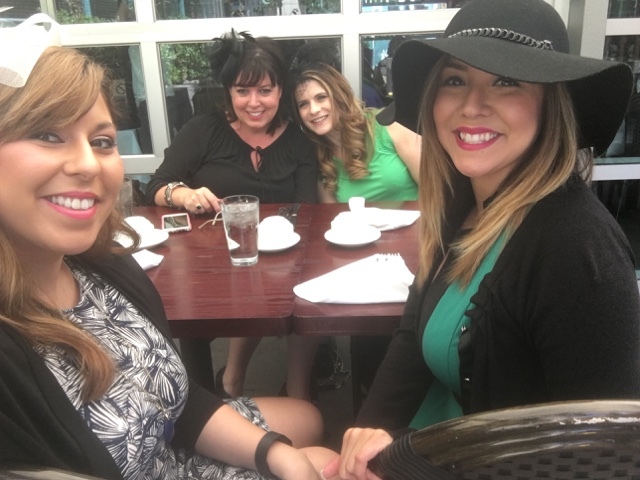 Giovanni beauty was representing their hair care line by pampering attendees with a fun hair makeover. As one of my favorite brands to follow, I am currently swooning over their Blackberry and Coconut Milk repairing shampoo and conditioner. 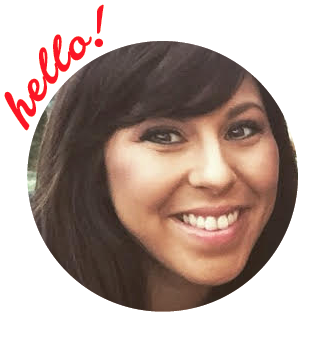 The team was so friendly upon introductions and offered me a few more travel size take-aways. What girl could resist?! With too many aisles to count and hours into the show, I stopped by the Weleda skin care booth, and received a free hand massage by this lovely lady, Elizabeth. Ever heard of ear candling? 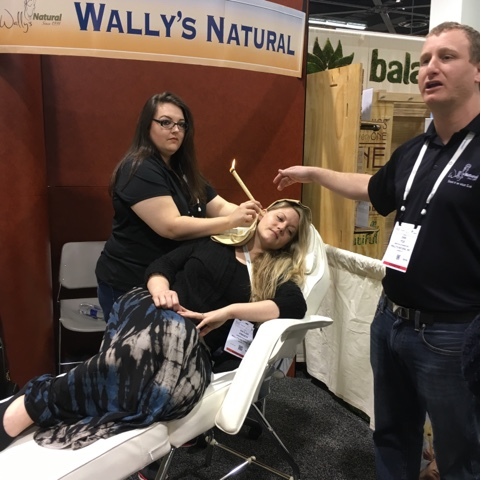 Wally's Natural demonstrated the use of ear candles and explained their purpose to a small crowd of on-lookers amazed with this product. Ear candling is said to help calm and relax the nervous system by ways of warmth and a slight whistling sound that is actually a low air current pushing through the candle. 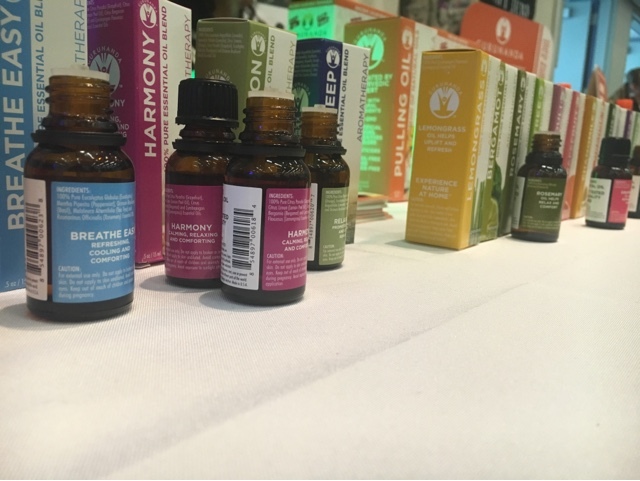 Staying within the natural line of beauty, I stopped by Gurunanda and learned about oil pulling and essential oils. 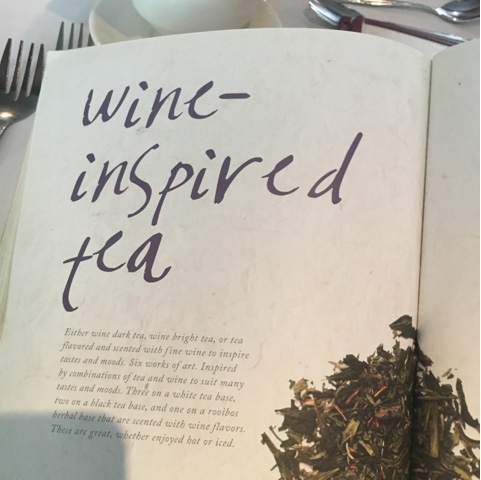 Let me just share, that after a few inhalations of orange, harmony and eucalyptus, I was at ease. 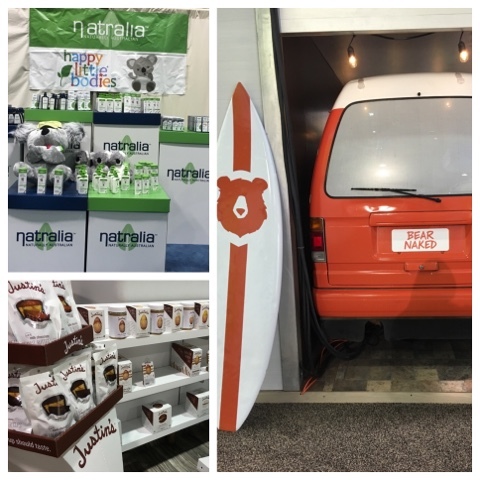 A great state-of-mind to be in with all the trade show's hustle and bustle. 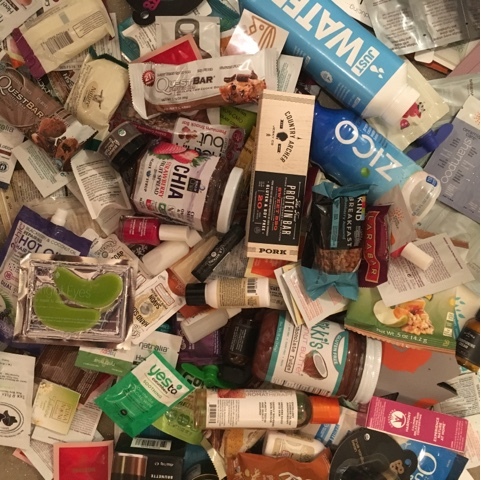 Australian based product, Natralia handed out packets of their "happy little bodies" lotions and regular line of skin relieving lotions, foot balms and body washes. By far one of the best lotions to help soothe irritated skin due to eczema or other allergens. 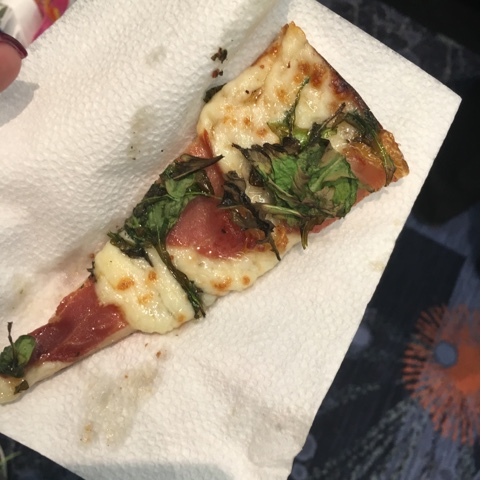 As I moved on to the third flood of the Convention Center, I was greeted with the nicest Italian guy, chef and owner of Russo's New York Pizzeria, Mr. Anthony Russo himself, who handed me a fresh slice of Russo's gluten-free pizza. HEAVEN and by far the best pizza I've ever tasted! 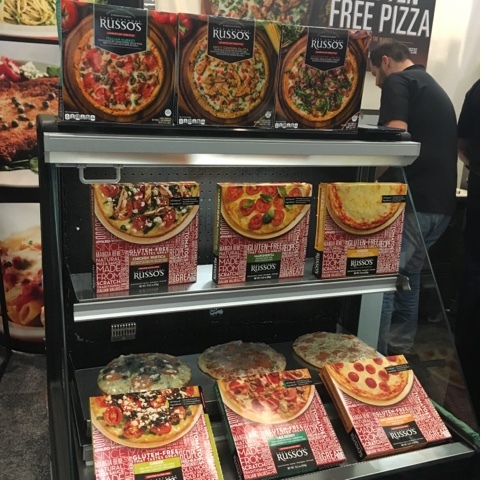 A born New Yorker, Anthony Russo moved to Texas and opened up several Italian pizzerias. Lucky Texans! 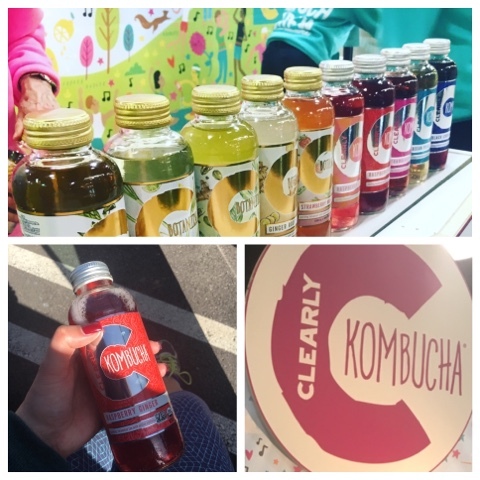 Washing everything down was no hard chore with Clearly Kombucha! 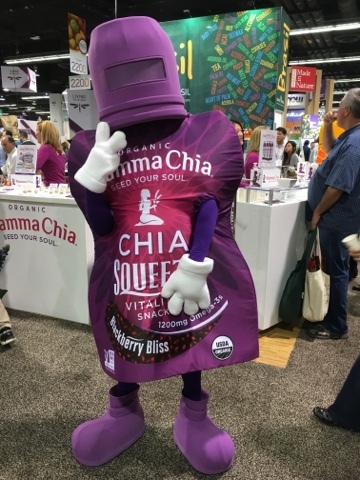 And, look who greeted me during a quick pass through aisles, it's the Mama Chia mascot. 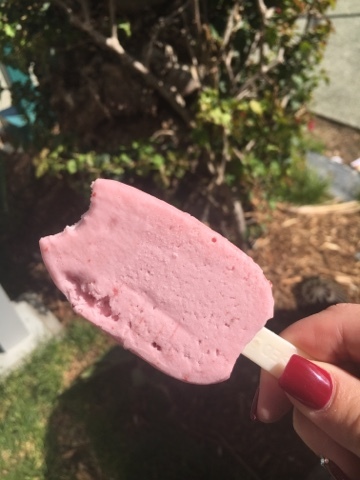 Everything was so delicious, but I needed a quick taste of something sweet, and fast! Thank goodness for Nikki's Coconut Butter for saving the day! 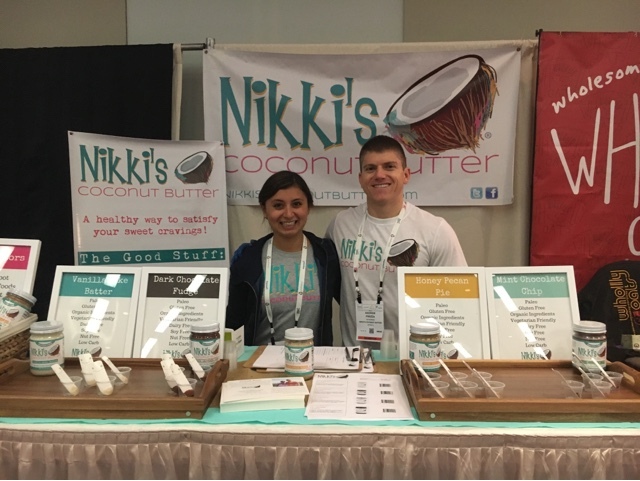 Nikki and husband Andrew, are so full of enthusiasm, you can't help but become re-energized when talking to them, and if you can grab a spoonful of the vanilla cake batter and dark chocolate fudge coconut butters while chatting, the butter, er better! The soy-free, dairy-free, egg-free, gluten-free product comes in five delicious flavors and is a great snacking substitute to sugary options that are infused with fillers and hard to pronounce sweeteners. 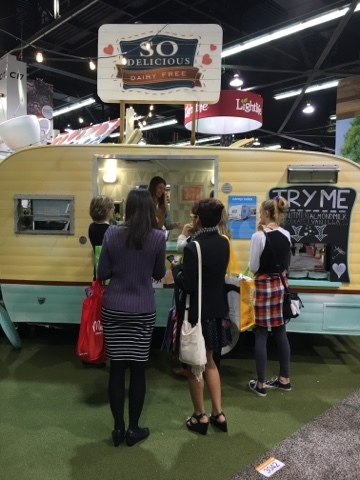 So Delicious, dairy-free products company had a cute set up and a line of their own, just outside their throwback to an ice-cream cart, delivering cold treats and servings of So Delicous vanilla almond milk and chocolate coconut milk. 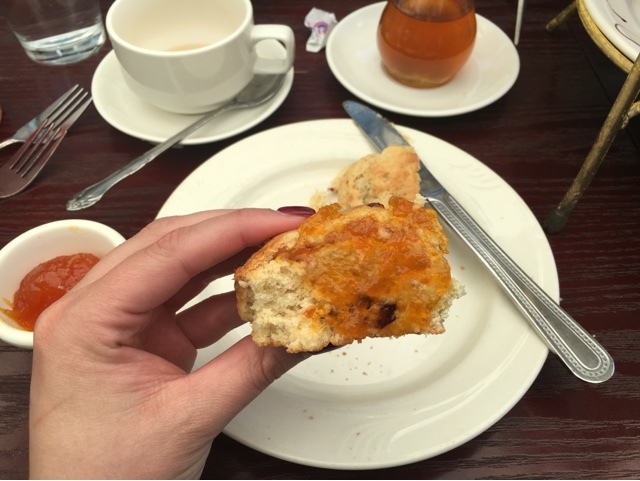 SO DELICIOUS, is so yummy! I couldn't help but smile the entire time I was at the show. 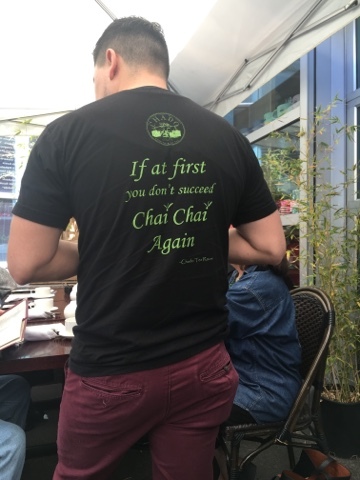 Everyone was just pumped to be there, to meet you and introduce their line of items, be it beauty, bamboo and organic fabrics, healing and wellness, toxic-free, dye-free, and vegan, the show was a hit! 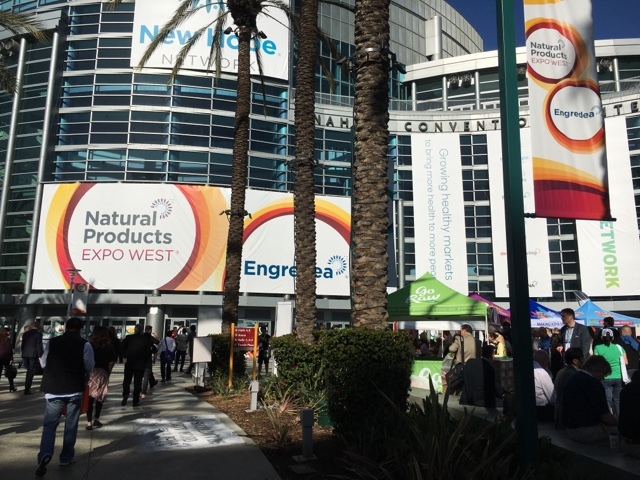 In fact, the Natural Products Expo West and Engredea is the world's largest natural, organic and healthy products event, and this year hit a record-setting 6.9 percent growth rate. A HUGE thank you to New Hope Network for inviting me, and for hosting 77, 000 attendees in total. And with more than 3, 000 exhibitors, including 600 first-time exhibitors, I can only imagine what records you'll exceed to break next year! Until then, I'll continue to spread the word about how this incredible expo is my favorite to attend each year!